Inspired by a very old, vintage pattern, this gorgeous blanket requires you to know how to make the popcorn stitch. The Smitten Blanket by Haafner is beautiful and quite easy to make in the size you wish. Make as many squares as you need for your blanket, join them and then add a simple edging (chart is also available on the blog ). 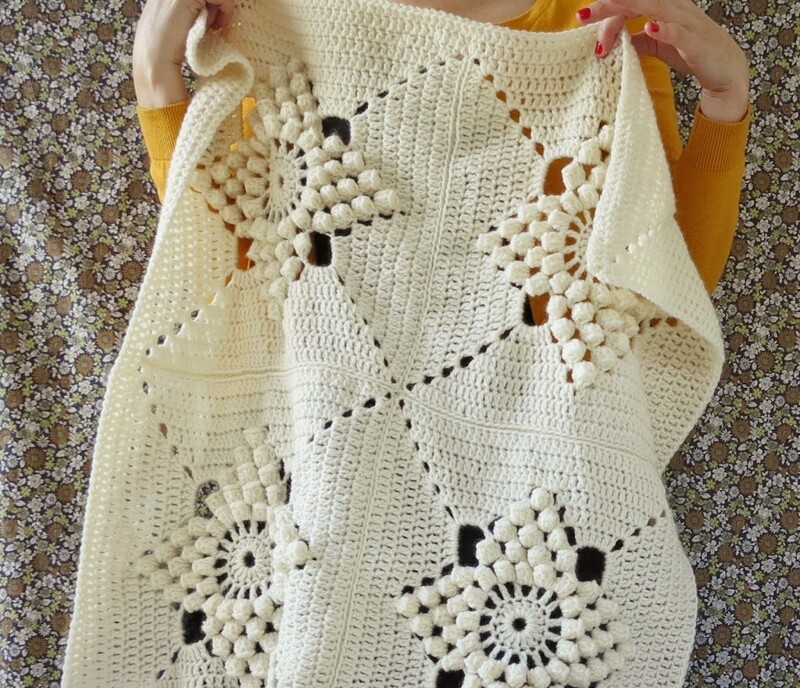 Before you know it, your stunning vintage-inspired blanket is finished! Thanks to Haafner for the article inspiration and featured image. What color is this ? Tan ?